There are many reasons why you might block a contact, and if you want to talk to them again fortunately it is easy to unblock them. This tutorial will show you how to unblock skype contacts on pc. First you will need to locate the blocked contact. It is easy to see if someone is blocked as they will have a red Skype logo to the left of their name instead of the usual green. Right click on the user and in the menu that appears click on the “Unblock this person” option. 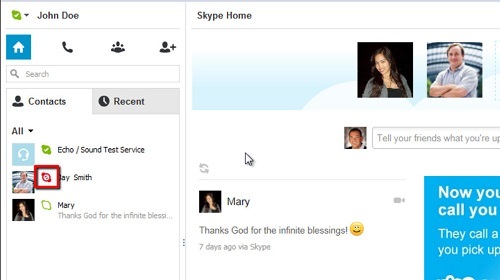 Instantly the red Skype logo will disappear and the user will be able to communicate with you. 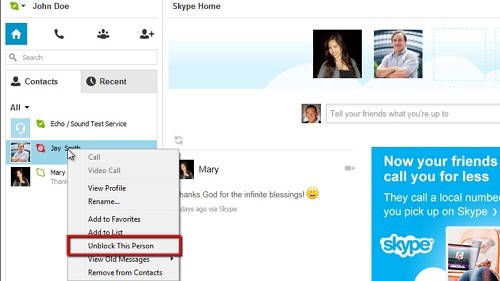 This is how to unblock skype contacts on pc and you will be able to communicate with this user as before. The previously blocker user will not know that you had blocked them before – you were simply appearing offline to them.